VIERA, Florida -- Two Brevard County teenagers who were accomplices in the vicious crowbar attack of Daniel Vukovich were each sentenced to 7 years in prison plus 8 years probation by Brevard County Circuit Court Judge James H. Earp on Friday. 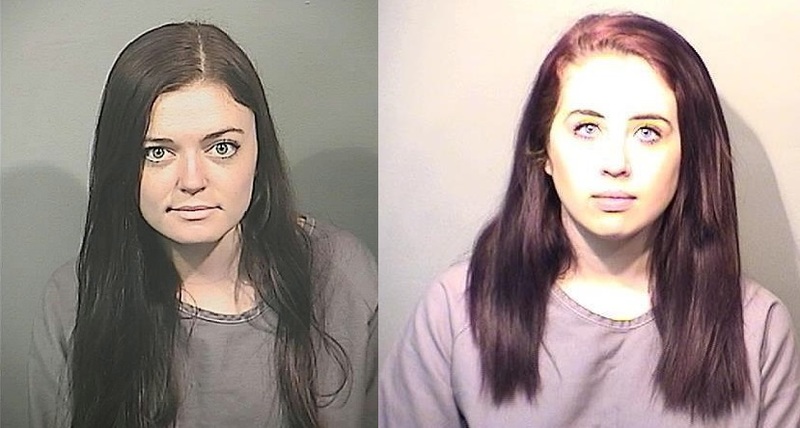 19-year-olds Jessie Umberger and Rebecca Gotay, both of Satellite Beach, Florida, were originally charged with attempted first degree murder for their roles in the attack made by Dylan Thomas on Vukovich. Both women later pleaded to the reduced charge of aggravated battery. Thomas had previously plead guilty to the lesser charge of attempted second degree murder and was sentenced to 10 years in prison. According to the Brevard Sheriff’s Office and Satellite Beach Police Department, the crowbar attack was allegedly in retaliation for the theft of marijuana and smoking paraphernalia that belonged to Thomas and Umberger. Investigators say that the pair believed that Vukovich was responsible for the theft and had been planning to kill him in retaliation. Investigators determined that the three met at a residence where Thomas and Umberger were staying. Investigators say that Gotay was to drive her vehicle to the area of the Vukovich ’s home shortly before the victim would leave for school that day.